Being a mom is definitely not easy, it’s probably one of the hardest things you can do and the amount of stress that comes with it is just A LOT. It truly is an emotional rollercoaster. Yes, it’s a joy to nurture a tiny human being but it is a lot of work. 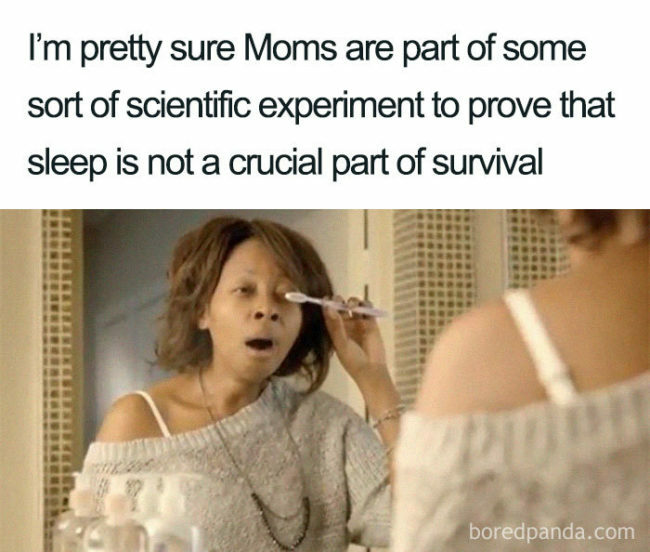 Which is why we definitely need mom memes to make life that little bit easier. I’m all for laughing through the tears and I hope you are too! If I had a kid, he definitely wouldn’t be a unique gift! 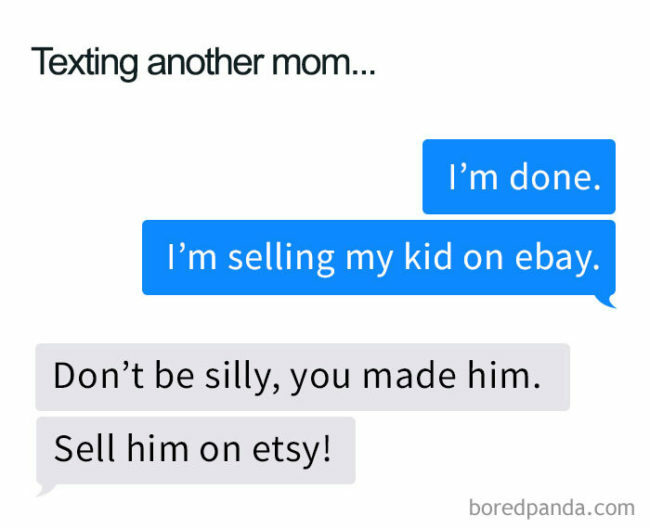 Each to their own, depending on how annoying your kid is, it’s either eBay or Etsy, take your pick. 2.) Why is it so hard to stand up?! Kids are extremely annoying when you try holding their hand to cross the street or go ANYWHERE. Their legs just stop working as your will to live slowly depletes. Great times. 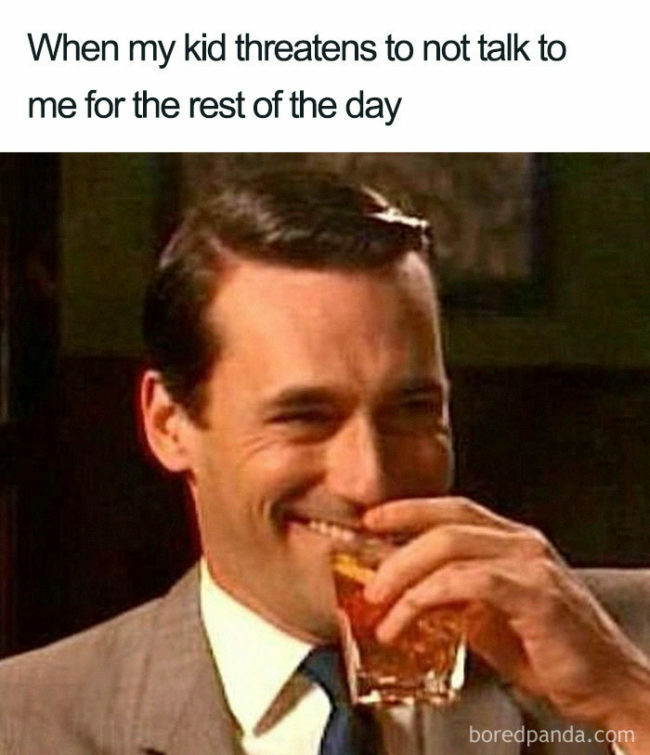 Honestly, if kids actually stopped talking to their parents for a day, I think parents will be much more relaxed. 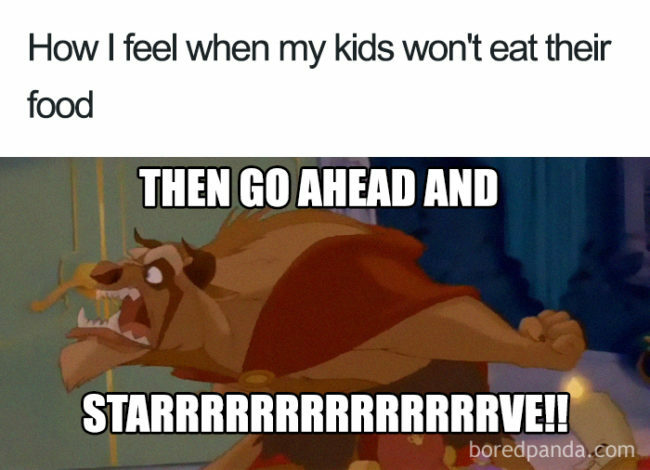 So, next time your kid threatens that, tell them to go ahead! Next time, maybe they should PICK IT UP when you ASK. Then, they wouldn’t trip over it and scream like they are dying. Everyone would be much happier. 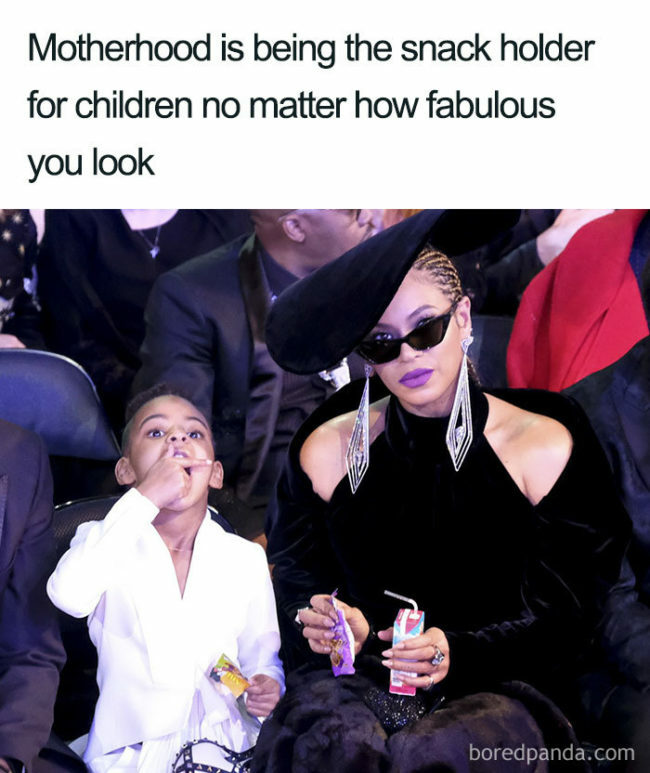 You may look amazing but you are still the snack holder, no matter how fancy you are. 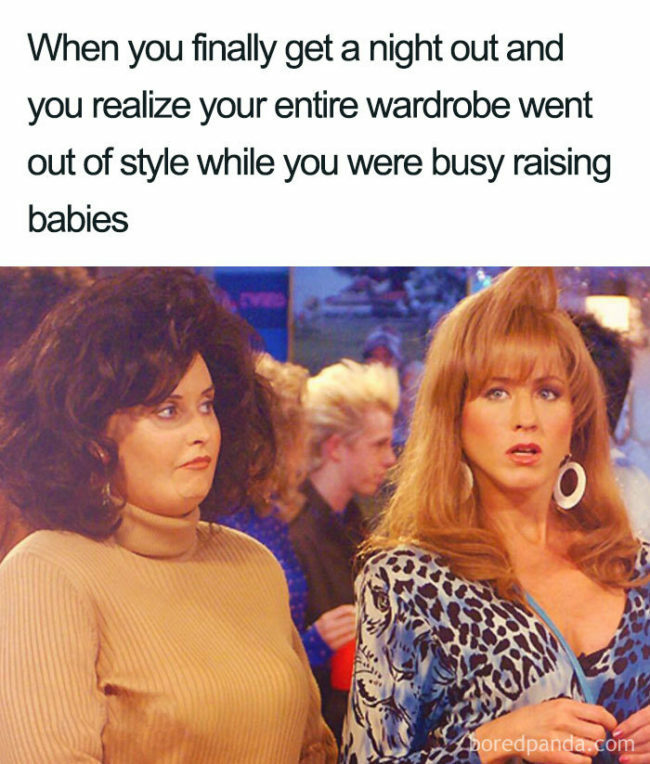 As a mom, you’ve got to try out a lot of ways to be fabulous! 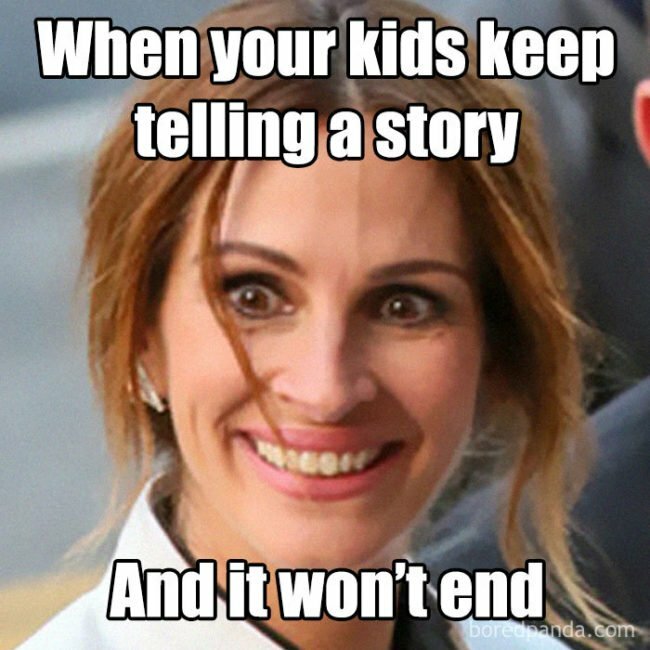 Just close your eyes as soon as your kid does and blindly feel your way out of their room. 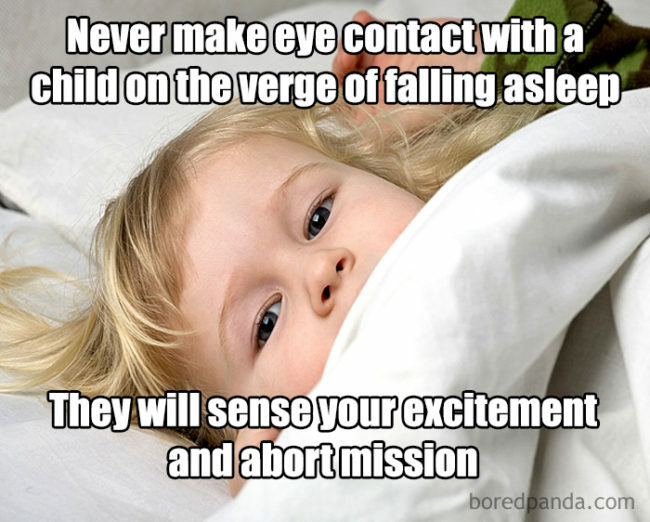 Trust me, it’s better than having your eyes open and accidentally having eye contact, then it’s game on all over again. Were you once fit, healthy and full of energy? 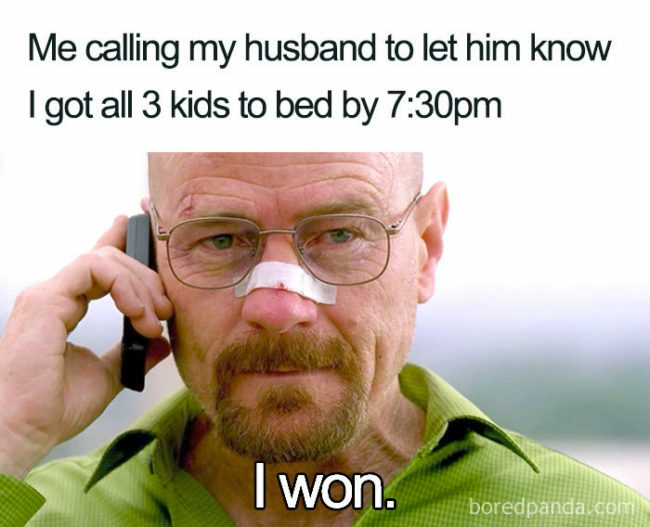 Now, as a mom, you will struggle even getting out of bed in the morning. Simply thinking of the day ahead has you out of breath and a raised heart rate. You could spend hours slaving away on a meal that even Gordon Ramsay would love but the kids will be like NO THANKS. Honestly, sometimes there’s just no point. Yeah…this is too relatable. There’s only so many times you can say “that’s nice” and “wow” before you go insane and the vein pops out of your head. 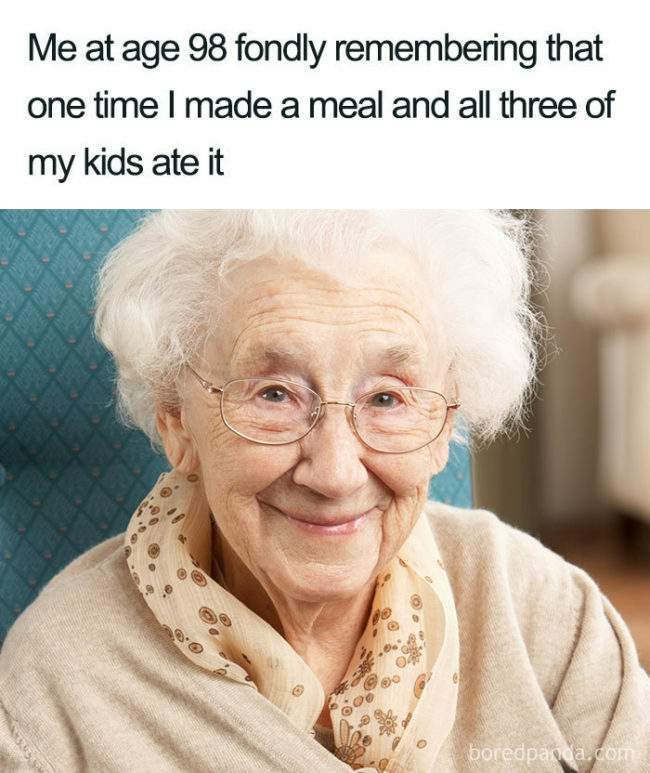 Many moms will remember this miraculous moments DECADES after it happened. Not one complaint and they ate it all? It’s a MIRACLE. 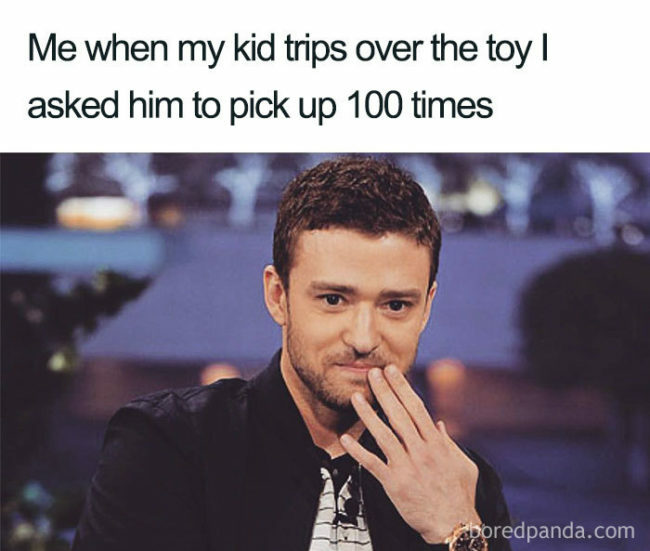 Many moms will be ashamed to admit that is a daily occurrence. 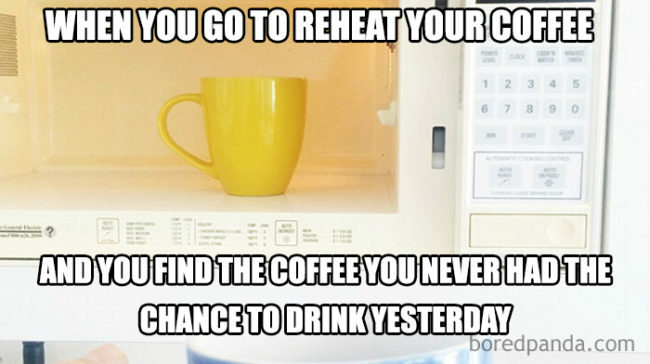 They will be even more ashamed to admit that sometimes they give the coffee from yesterday a sniff, shrug and reheat it…again. Why are toddlers unable to get into clothes? 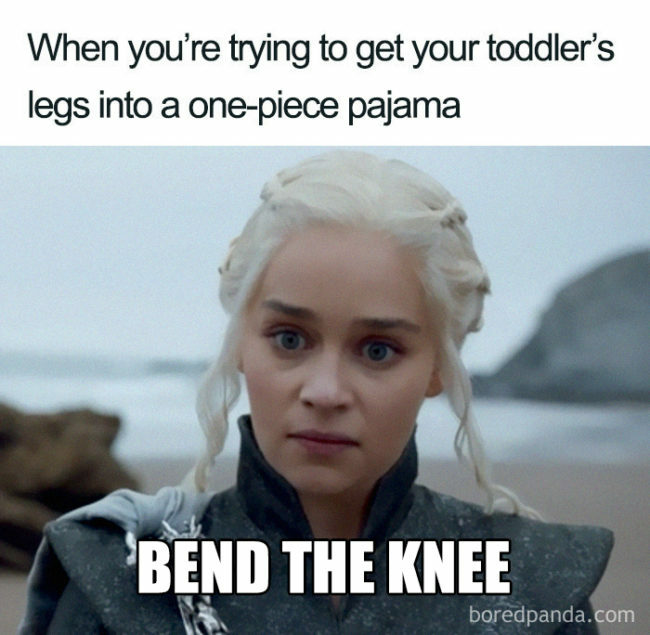 It’s just not worth trying to battle to get them into a one-piece. 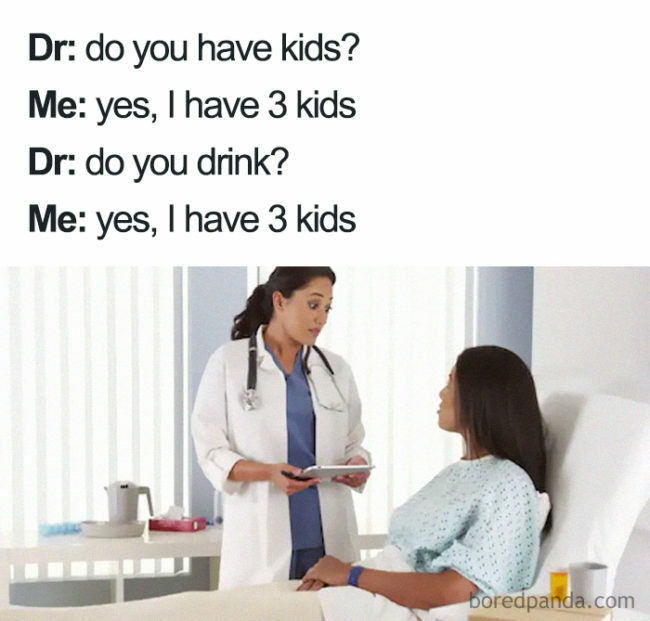 Three kids? Definitely drinks. You only need to ask the first question. 14.) They could both fit! 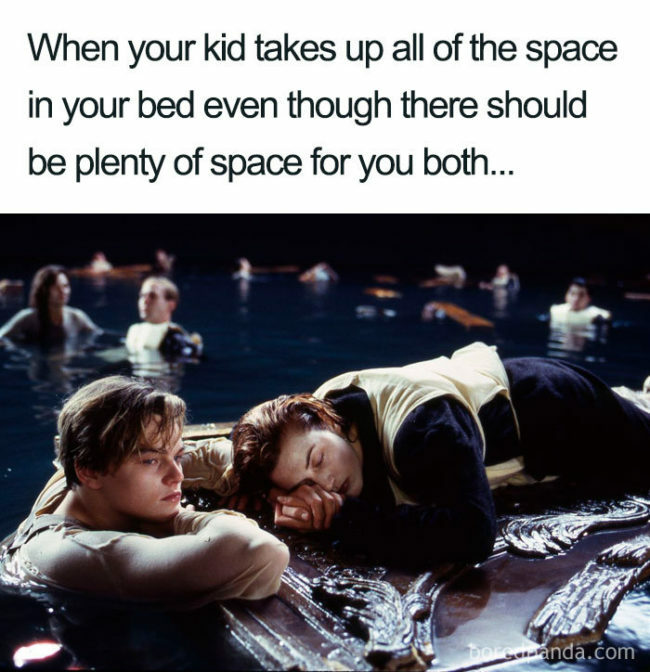 I still have never forgiven Rose for this…and moms can never forgive their kids for kicking them out of bed. It’s the same thing! Oh, and nothing fits anymore either. It’s great being a mom, really! 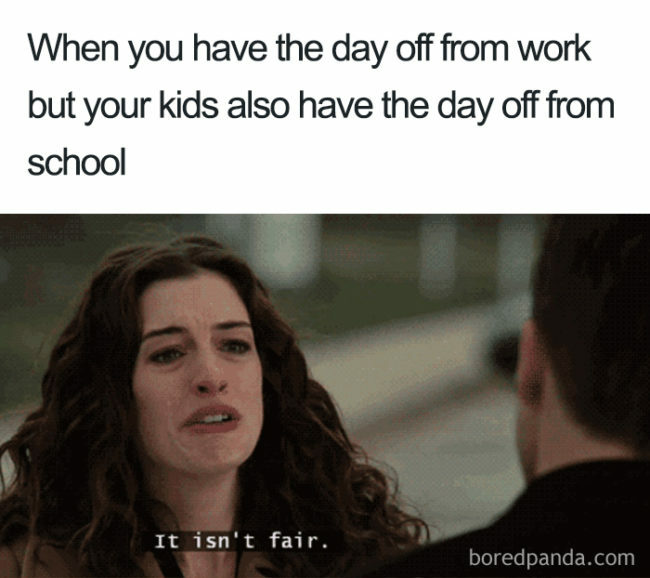 A day with the kids will definitely exhaust you and could age you enough to be bedridden. 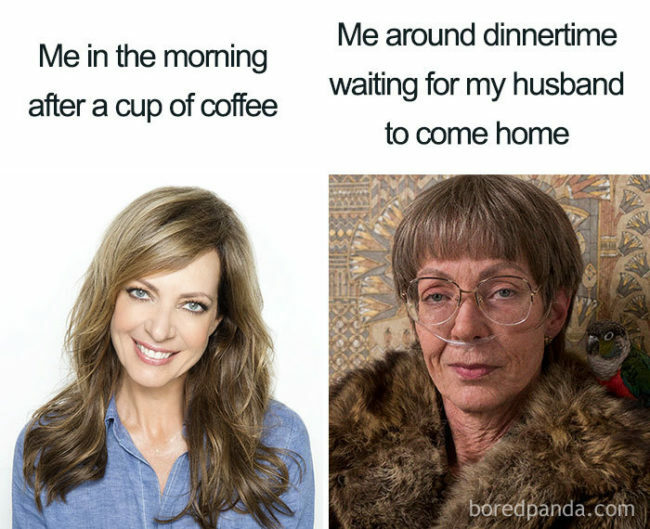 At least there’s coffee to get you through it! Yes, you may come out of it with cuts and bruises but YOU DID IT! Pour yourself a glass of wine and relax…until the kids wake up again at 8 pm. Ahh, now this is soul-crushing. 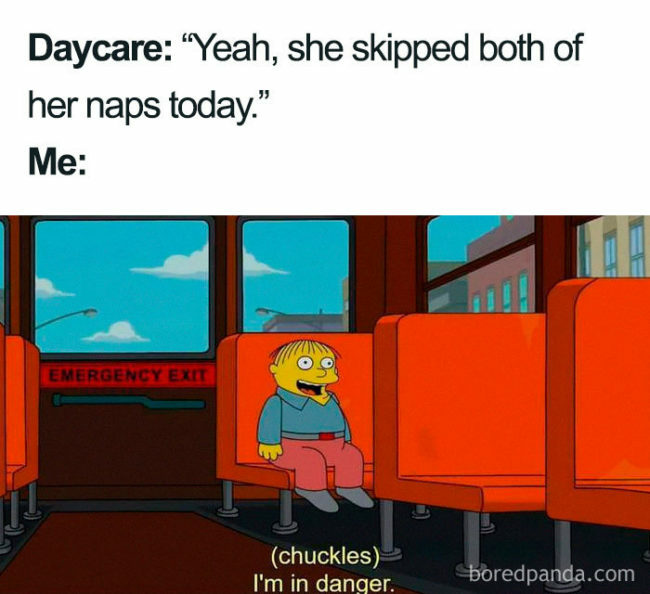 Daycare naps are a curse and make moms cry many tears. I’ll have you know that brushing the eyelids is a crucial part of daily hygiene. 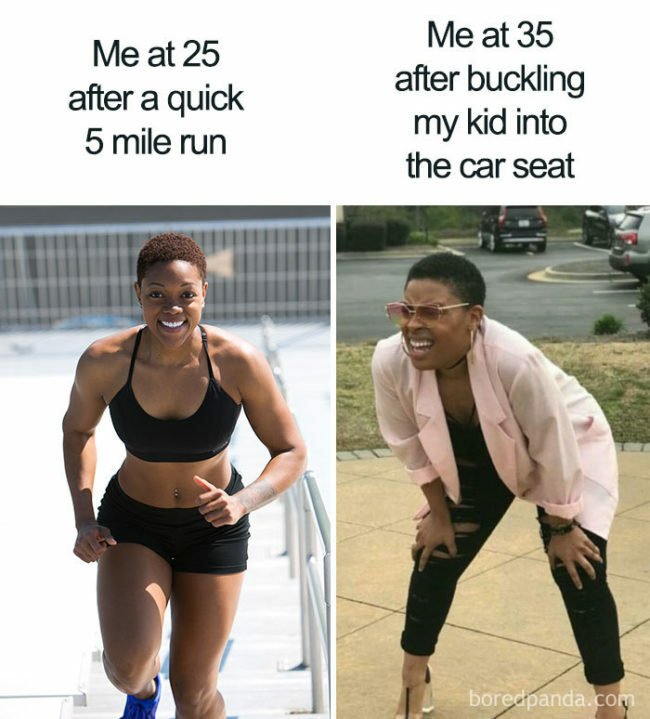 If you are a tired mom who can’t function, that is. It’s not a day off when you have to look after and plan activities for the kids! Where’s the relaxation in that?! Don’t get me wrong, moms love their kids and wouldn’t change it for the world. However, it is an emotionally, mentally and physically exhausting job. 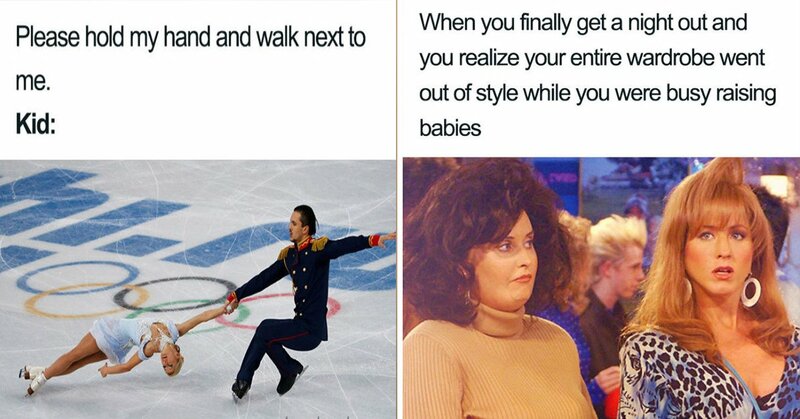 You can’t help but laugh at the daily struggles mom’s go through, it’s better than crying!